Today's video is a card for my sister. 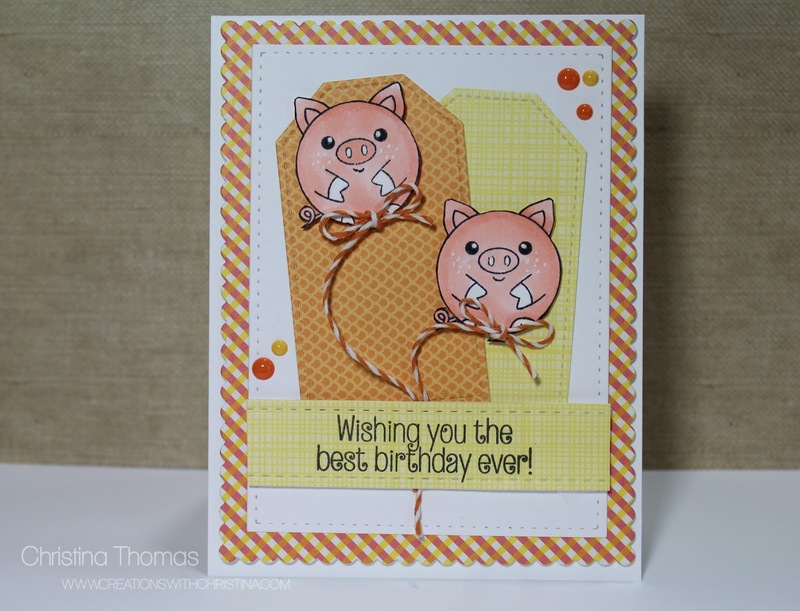 She loves pigs so I thought she would get a chuckle out if this card. How can you not smile at those cute little animal balloons. Very cute card! Thanks for bringing back stampin on fridays. Cute card! I always like the colors you use for your card making.